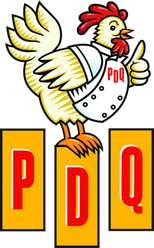 Although we work hard to avoid cross-contact of allergens, PDQ cannot guarantee that cross-contact with allergens will not occur. Before placing your order, please inform the manager if you or anyone in your party has a food allergy. Provided nutritional values are estimated based on our standard serving procedures. We strive to make every order we serve consistent, but please allow a slight variance within 10% +/- of your actual meal. All nutritional information is rounded following the guidelines set forth by the FDA. Percent Daily Values are based on a 2,000 calorie diet. The listed ingredients are provided directly by our manufacturing partners.